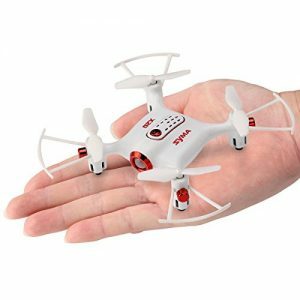 SMALLEST DRONE WITH 720P HD CAMERA! 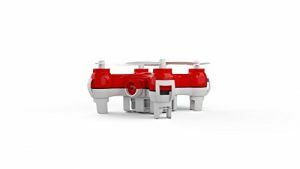 When starting to design HACKER, we intended to create a small drone which can take HD Pictures and Videos, and we wanted it to be simple and easy control. 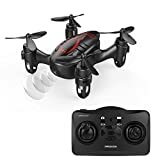 Then we studied all the mini drones in the market, just found all those are designed for kids,easy to break and hard to control,on the other hand, for those equipped with cameras, it is really hard to obtain clear images. Now Drocon HACKER is created to challenge them all. Drocon HACKER adopts durable ABS materials, makes it more flexible, not easy to break. Especially the flexible blades will free you from the endless and annoying process of replacing them. Due to these, we didn’t add any protect guards to it. Why? You won’t need one ! Photograph/video button is just above the controller, easy to take pictures or videos during the flight! Only 4 Trim buttons on the center of the controller, Forward/Backward/Leftward/Rightward, easy to adjust flying balance! Firstly, fly the drone up to about 2 meters height, press the (SPEED/STUNT)button and push the direction stick, HACKER will perform a 360 degree Flip accordingly.